What is tubal ligation reversal? Fortunately, this can be achieved with another surgical procedure called tubal ligation removal. If a woman changes her mind, and decides she wants to become pregnant, tubal ligation reversal is possible, and it can effectively ensure fertility restoration. Tubal ligation is the safest way to prevent unwanted pregnancy. However, the possibility of reversing it may also be important to many people these days. Fortunately, this is possible even in cases when the sterilization procedure involves tubal rings or tubal clips. In fact, this actually involves the most successful rate of fertility following the reversal microsurgery which entails the recuperation of those portions of fallopian tubes left behind when clipped. The tubal ligation reversal procedure is associated with a subsequent average pregnancy rate of 75%; moreover, the percentage continues to increase every month, given the reopening of the tubes. Experts have shown that 98% of tubal ligation procedures are reversible, so that almost all women have the possibility to become pregnant following the ligation removal microsurgery. 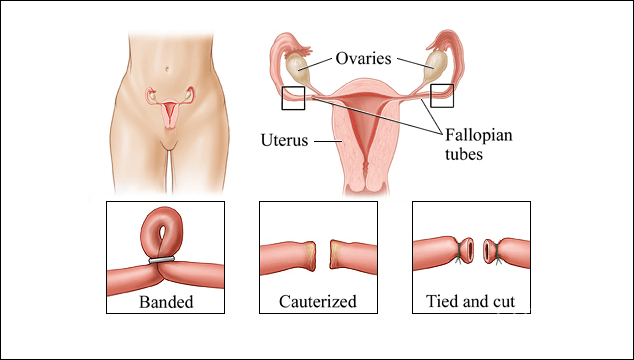 The overall success of the tubal ligation repair varies among different female patients according to the type of tubal sterilization (tying and removing a segment of the fallopian tube, tubal clips or rings, electro-coagulation) and the status of the remaining segment of the tube, whether too short, completely removed, or diseased. How does the reversal surgery work? The reversal procedure is a minor surgery performed in an outpatient surgical facility, and furthermore, it is significantly cheaper compared to treatments using in-vitro fertilization. Therefore, the resection or removal of a portion of the tubes for the purpose of achieving effective birth control doesn’t actually affect a woman’s fertility, and should she decide to become a parent and undergo the reversal operation, it can be a complete success as long as at least two segments remain for the reconstruction process. In order to reverse the tubal ligation, a specialized surgeon will remove the tied segments of the tubes, and realign the two portions to establish a complete tube. The recovery time following the tubal ligation removal technique is minimal, and the ensuing chances of having a baby are very satisfactory. Getting pregnant after the tubal ligation removal procedure is directly connected with the restoration of a woman’s fertility which, in the long run, can be immune to any other methods of becoming pregnant, such as a single in-vitro fertilization that may or may not prove to be successful. In addition to this minor surgery, in order to improve the chances of ultimately achieving the desired pregnancy, abdominal massage can help reduce the scar tissue of post-surgery tubes, and increase blood circulation, especially in the cases when only one fallopian tube is functional. Therefore, if you are ready to conceive, the tubal ligation removal procedure will ensure perfect fertility restoration almost in all cases, and aid you to become pregnant.